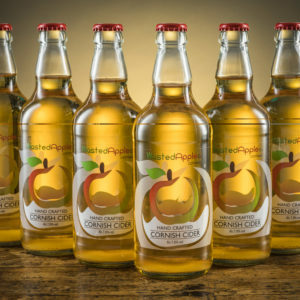 Available with a ‘medium-dry’ or ‘dry’ or ‘mixed’ cider made using a mix of cider, culinary and dessert apples from Cornwall which is then sweetend very slightly to produce a medium-dry taste. It is left to naturally drop clear, then bottled with a small amount of sugar to produce a ‘pettilant’ condition. 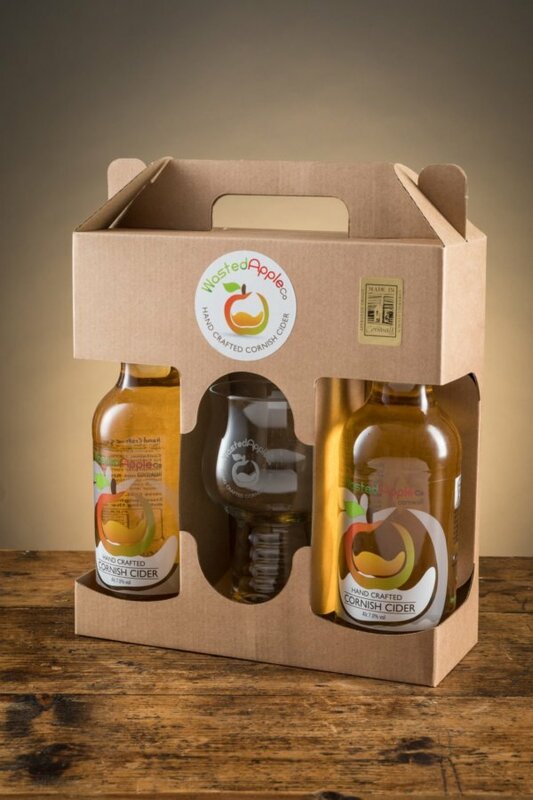 It is made from 100% juice, it is not pasteurised or filtered. 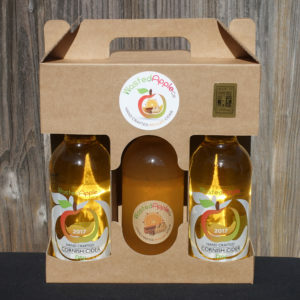 The result is a crisp clear cider which is mild and easy to drink. Complex aromas, a light golden colour and a long, truly appley aftertaste. 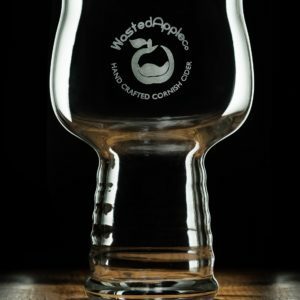 A true cider cup with the Wasted Apple logo, which brings together the aroma of the cider as you drink.